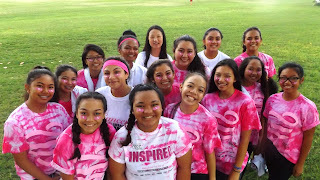 The Academy showed strong support for the Susan G. Komen Race for the Cure on October 18. Teacher Masa Yamaguchi played his bagpipes at the start of the race while 18 student volunteers, including members of the newly elected Freshmen council, joined Vice-Principal Kinga Sanders and Director of Student Activities Toni Normand at the water station organized by the Zonta Club. There was even support from a Saint Louis School Crusader brother! 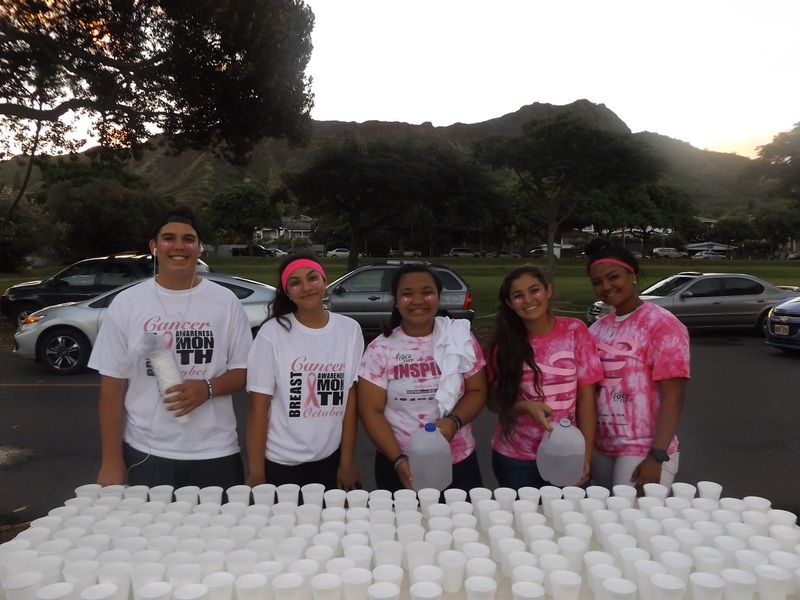 Academy volunteers cheered on the 5,000+ participants, including Junior Counselor Cleo Eubanks and Academy parent Darci Ludington. 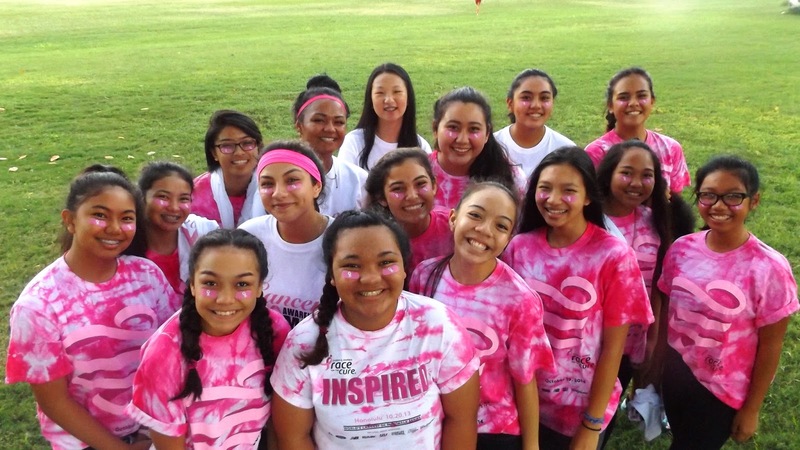 Proceeds from next week’s Sacred Hearts Academy Costume for A Cause on October 30 will be donated to the American Cancer Society in support of Breast Cancer Awareness Month.